In one of my columns about Tule Lake, I mentioned Tex Nakamura in connection with Wayne Collins and the work Collins did to restore citizenship to those who had renounced their citizenship during WWII. I was not aware of Tex, who worked closely with Wayne Collins, and said I would like to meet him. A few days later I got an email from his daughter, Irene Yoshioka, saying that her father would like to meet me. We had our meeting at Tex’s home in Hacienda Heights last Saturday. I invited Martha Nakagawa, a writer for The Rafu who interviewed Tex eight years ago, former Tule Lake inmate Yukio Kawaratani, and videographer John Esaki from the Japanese American National Museum. Tex is recovering from influenza and has one full-time caregiver and one part-time assistant. He sat in a recliner couch with the three of us gathered around him. Considering his 95 years, he looks very good. When we spoke to him, we spoke into an audio device connected to his hearing aid. Irene is fourth-born and the only girl in his family of five children. She lives a block away and is able to frequently look in on her dad. Having two girls of my own, Tex and I agreed how great it is to have girls who tend to be so nurturing. Tex and Yukio chatted about the work they did with CRA (Community Redevelopment Agency Los Angeles), which was responsible for planning the development of downtown L.A. Yukio was the senior planner working on the Bunker Hill project and provided the staff work to start the Little Tokyo Redevelopment Project. In the 1970s, Tex was appointed to be one of seven city-wide commissioners on the CRA/LA Board of Directors. Before going to Tex’s home I read the interview that Martha had done with him, so I had a good idea what he accomplished, particularly after the war. Here he was, a recent UC Berkeley graduate who chose to remain interned in Tule Lake to help his fellow JAs who sorely needed him. Against his advice, thousands had renounced their citizenship and were in danger of being deported to Japan. In 1945, he went to San Francisco and enlisted the support of Wayne Collins, a civil rights attorney activist. Tex provided critical legal help to the Japanese-speaking Issei and Kibei. In 1957, Tex went to Japan and was successful in restoring even more of the citizenships of the Nisei and Kibei, allowing many to return to the U.S. Their work together was to last until 1968 — 23 years! Between the two of them, they were successful in restoring the citizenship of nearly all of the 5,600 renunciants. Much of Tex’s time was spent organizing the renunciants and raising sufficient funds to defend them in a mass action suit filed by Collins and the Tule Lake Defense Committee. Tex says this experience was also helpful when he was called upon to help raise funds and acquire the property to relocate and build the present Nishi Hongwangi Temple in Little Tokyo on First and Vignes. Because of my involvement with JACL, I asked Tex whether he thought we in the community should ask JACL to apologize for its lack of support of the renunciants. Many saw this lack of support as criticizing and even condemning the renunciants. Knowing Wayne Collins’ anger towards the JACL, I was surprised at Tex’s response: He said he had written a letter to JACL’s national president, Saburo Kido, who was incarcerated in Poston, asking for his support for the renunciants. Kido wrote back saying he was unable to give support to the renunciants due to the strong objections from the Seattle, New York, and Southern California JACL chapters. In Tex’s own words, “This is the reason why I was asked by Masami Sasaki to leave camp and get help from the Northern California ACLU and stop the deportation of the renunciants. In San Francisco I met Mr. (Ernest) Besig, chairman of the San Francisco ACLU, and he referred me to Mr. Wayne Collins. Mr. Collins had expressed to Mr. Besig the unconstitutionality of the renunciation and deportation. “The next day we left for Tule Lake. Mr. Collins spoke to them of their constitutional rights as citizens and how they were forced to make decisions without the protection of the government and under duress. The renunciants helped raise the beginning funds to create the Tule Lake Defense Committee and the beginning of their freedom of citizenship. “After the war, Mr. Collins filed a mass habeas corpus action to prevent the deportation to Japan, and at the same time filed the equity suit to set aside the renunciation of citizenship under the grounds of governmental duress. In the San Francisco U.S. District Court we won the case against deportation on Nov. 13, 1945, but the government soon appealed the case and it then went to the U.S. Supreme Court in Washington, D.C.
“Due to interference by the Southern California ACLU, who was representing the individual renunciant, (Yoshio) Murakami, the U.S. Supreme Court ruled that a mass class action suit for 10,000 renunciants could not continue, and we were then referred back to the San Francisco U.S. District Court. Rather than an apology, Tex said he would like to know the reasons why the JACL did not support the renuciants at that time of crisis. This, he would say, is the extent of what needs to be done. In thinking about Tex’s even-handed reply, it makes sense: JACL stands for Japanese American Citizens League with the emphasis on “citizen.” From its inception, JACL divided eligible members who were citizens from their ineligible Issei parents. Although this requirement persists today, I doubt whether it is enforced. For whatever reason, during WWII, for anyone choosing to renounce their citizenship, the JACL, putting such a premium on citizenship, could hardly support that person. Supporting efforts to help regain lost citizenship would have been heroic, but was not to be, even after the war. 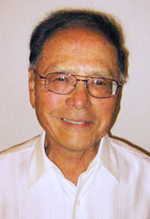 The Southern California JA Historical Society’s panels in 2010 and 2012 were enlightening, allowing the community to hear first-hand from the former Tule Lake inmates. It was a privilege to be a part of this gathering to interview Tetsujiro “Tex” Nakamura. He has stood in the shadow of Wayne Collins and needs to be recognized as a real Japanese American hero. Time is running out to hear from people such as Tex and Yukio. 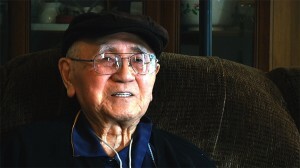 Instead of being stigmatized, former Tule Lake inmates deserve to be understood and acknowledged for the special travails they and their families went through during and long after the war. See Densho Encyclopedia entry on the JACL and dissenters for more context on the issue Phil raises regarding a JACL apology to the renunciants. JACL did apologize to the draft resisters, which was a major step, but the apology did not include other types of resisters – those who answered “no-no” on the loyalty questionnaire and those who renounced their citizenship. Also, the draft resisters are called “resisters of conscience” but were not conscientious objectors. They were willing to serve in combat if their rights as citizens were restored first.